There’s always something we could be doing to make smarter choices over our money and some of that you can do from the sofa. We’ve pulled together a list of money books for parents that give some original perspectives on how we can make better financial decisions, financially prepare ourselves for the unexpected and even gain some sage old wisdom to pass down the line. Pete Matthew is host of The Meaningful Money Podcast and offers three simple steps to move away from a position of debt to mastering your savings and being insured for whatever’s to come for you and your family. Pete gives a practical guide on how to cut out what you don’t need, refine management of the things you do, and get on your way to a secure financial future. Nudge has a pretty important position on the shelf in Rooster HQ. We make choices everyday, influenced by our environment, upbringing and more. These Nudges can be applied to all ages to help us shape positive actions. 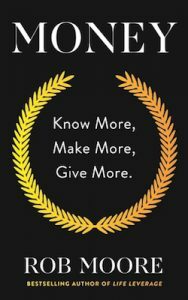 Richard Thaler & Cass Sunstein put forward suggestions and recommendations on how we can improve how we choose to make decisions, and how we can make better ones. This ranges from what we choose to eat for breakfast through to handling our children’s education and finances. 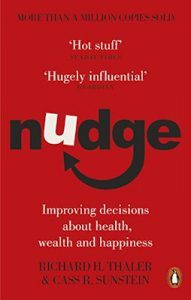 The British government have set up a team in the Cabinet Office called the “Nudge Unit” and you can see why after this book. A library of eye-opening examples combined with highly commended research from the authors will set you on your way to informed and effective decision-making without limiting your freedom of choice. What's Your Excuse for Not Being Better with Money? Personal finance expert Jo Thresher takes a look at all of the reasons (or some might say excuses) for why we find it hard getting to grips with money. 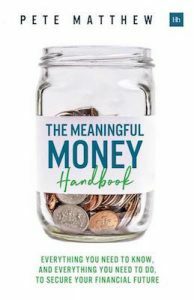 The book helps us identify the benefits of educated and informed money management, looks at our common fears, and what steps we can take to get on our way to mastering our finances. It even comes with a budget planner with recommendations such as when to review outgoings, and whether or not you’re getting the best deal on your bills and subscriptions! 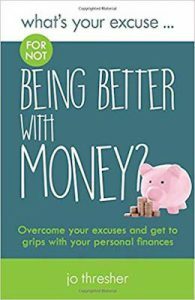 Part of the “What’s your excuse for not…” series of books, Jo tackles the problem areas and woes of personal finance and how you can turn things around. This book brings together any financial knowledge you have already and challenges your views so you can become better at mastering your money to make it work for you. Despite missing the opportunity to use a pun in the book’s title, there’s a library of information in this single book to lend advice when it comes to handling your cash. There’s no “get rich quick” schemes to be found here, instead it offers a wealth of tips on finance in a clear and understandable way. The author was first making ends meet as an artist saddled with a host of university debt since graduating, before a life-changing event in 2005 changed his outlook on life. Within just a few years, he became a well-respected expert in business, property and personal development. 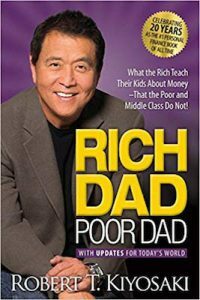 It’s been over two decades since Rich Dad Poor Dad’s initial release, but in its 20th anniversary, Robert Kiyosaki’s famous book is still the number one personal finance bestseller around the world. Robert shares his story of his own father who was hard working but struggled financially all his life, juxtaposed by his best friend’s wealthy dad, who became his mentor, teaching him about how to manage and grow his money. This experience helped him shape his outlook on personal finance growing up. Throughout the book he delivers key principles and messages related to the economy, investment and money that are still relevant to this day. Got any story suggestions you’d like to share with us? Let us know at hello@roostermoney.com.